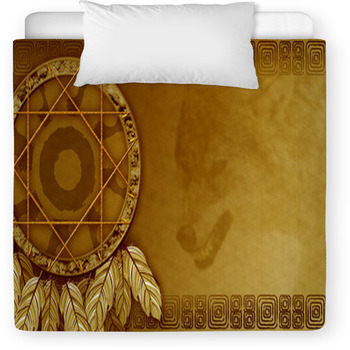 Decorate your child’s room with Native American baby bedding. 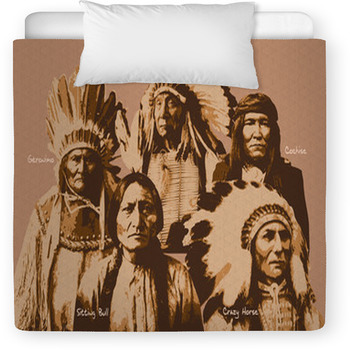 Consider the Native American Indian at sunset baby bedding for your child’s room. 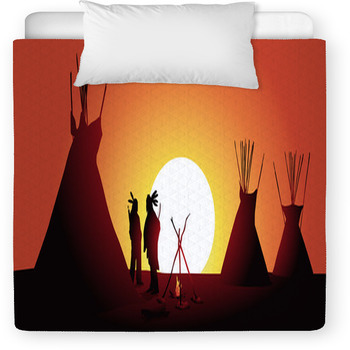 It shows a Native American watching the sun go down as an eagle circles the orange and yellow sky. 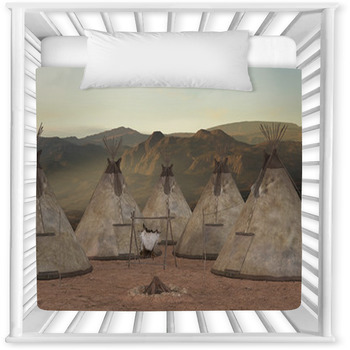 The Indian tribes baby bedding shows an Indian standing by a teepee as a horse with a passenger sitting atop of it stands still in the distance. 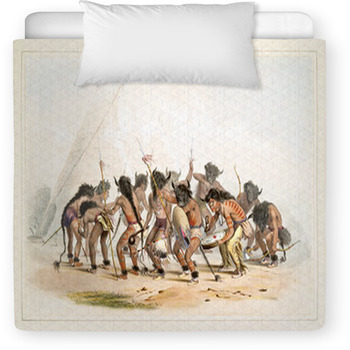 In the Native American baby bedding, you can see a Native Indian charging on his horse with a spear in hand. 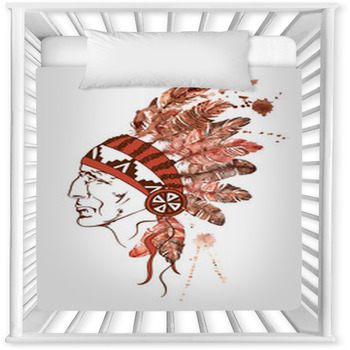 The ornamental background with a dream catcher baby bedding is dark green and red. 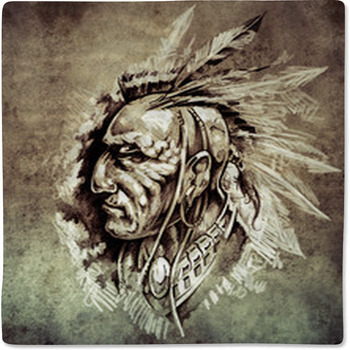 In the ethnic background category, you will find dream catchers, chief’s headdress, and the Aztec seamless pattern with green patterns. 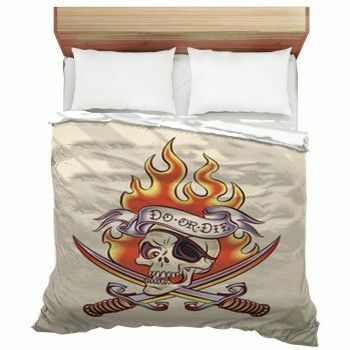 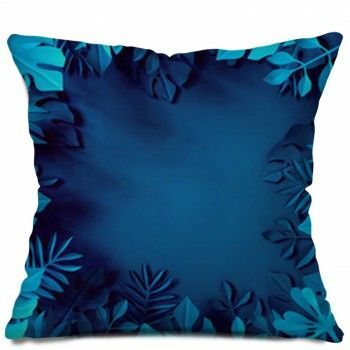 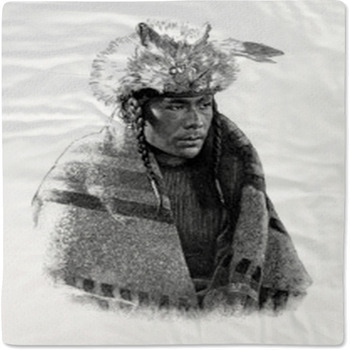 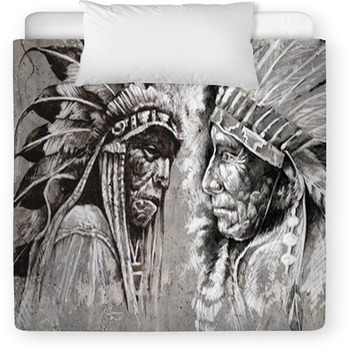 You may also like the tribal seamless background baby bedding, featuring different elements of the Native American culture such as the head of the bull, feathers, and owl. 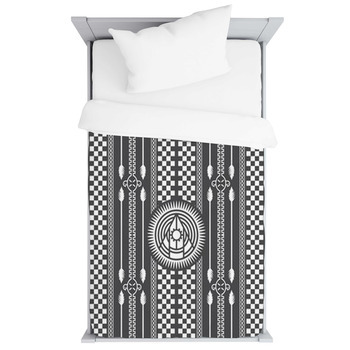 The vector illustration of different ethnic arrows with feathers on a white background baby bedding is another one you may like because of its simplicity. 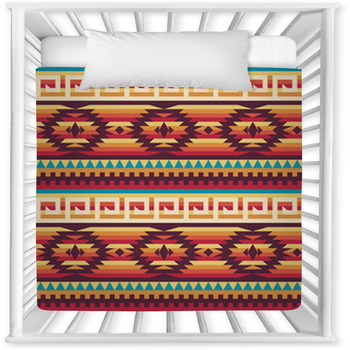 The colorful watercolor feather set baby bedding and the vector dream catcher baby bedding is a colorful depiction of the Native American culture. 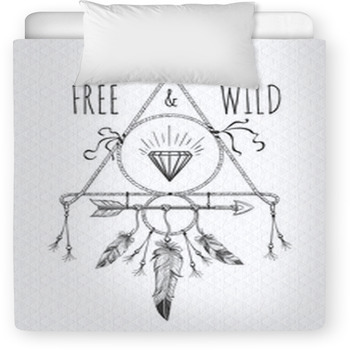 In one picture, the feathers are hanging from a line, and in the other, they are hanging down from the dream catcher.